Home / Blog / ​London plumber or gas engineer? ​London plumber or gas engineer? The world of plumbing and heating can be a confusing place but at Aspect, we have the answers. 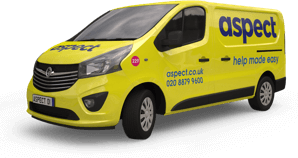 At Aspect, we often hear from customers who are confused over which type of London plumber or engineer they need for a particular job which needs to be done in their property. A common question is ‘do I need a plumber, or a gas engineer’? Of course, each job is different to the next, so there aren’t any simple answers, but the information here should give you a good idea. Any experienced London plumber will tell you that it is illegal to use any gas appliance which you think isn’t safe. The Gas Safe Register strongly advises against any DIY which relates to gas appliances – because gas is hazardous substance, you could be putting your home and family at risk if something goes wrong. Leaks, fires and even explosions can result from the poor handling of gas equipment, so it’s better to be safe than sorry – getting a professional in is your best option. No hot water or central heating? If you’re having trouble with your heating, or you have no hot running water, there is a good chance it’s a problem with your gas or combi boiler. If you’re in doubt as to whether it’s a problem with your gas or a different problem such as a faulty valve, it’s best to call in a gas engineer to be safe. By law, all gas engineers should be Gas Safe registered, this means they know how to deal safely with gas equipment in the home. If you need a boiler to be installed, a gas engineer is the safest and most reliable option. Whist some London plumbers may be able to handle this type of job, they may not have all the required knowledge and you could risk problems in future if the job isn’t done properly. Of course, it isn’t just gas boilers which require the help of a certified London gas engineer. Gas cookers also rely on the supply of gas from the mains and, as such, should also be left to a certified technician to look at. Whilst a plumber might be skilled at working with all kitchen appliances, gas safety should come first, so it is best to get an engineer who is used to working with gas. If there are water leaks coming from your pipes, or your appliances, a plumber is the best person to call. In London homes, the plumbing can be older and need more maintenance, but an experienced, certified plumber will be able to advise you on the best course of action and how to prevent similar problems in future. Installing a single radiator or a full set of radiators can also be done by a reputable London plumber. At Aspect, our plumbers work on half-hourly rates so that you only get charged for the time it takes to have your radiators installed, and nothing more. We know that it’s sometimes difficult to tell whether a problem with your central heating or boiler is gas related. 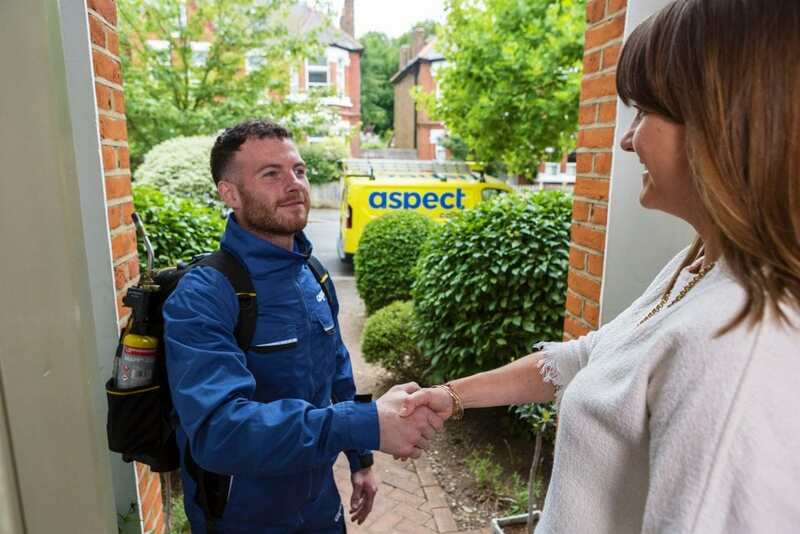 Whilst it isn’t always possible to tell from the outset whether the problem is with your gas or plumbing, aspect.co.uk’s advisors will be able to tell you where they think the problem lies, so you don’t need to try and second guess. Our team of maintenance experts are used to dealing with all manner of plumbing and heating problems, from issues with hot water to broken radiators and poor water pressure.